Villa Melgar i Arequipa, Peru: Reservér nu! 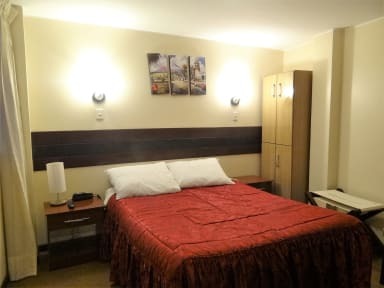 Our rooms are distributed starting on the second level, they are all carpeted, beds are really comfortable, temperature in rooms is great, because we have Sunny days almost the whole Year. We have stylish bathrooms, 24 Hour Hot water an extra towels available. 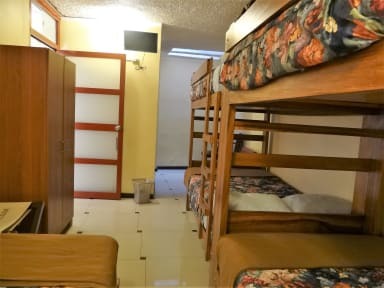 Breakfast is included, High Speed WiFi in all rooms, money exchange, Spanish/English lessons available, massage on request, safety box, luggage storage, general information, Tours available to Arequipa - Cuzco - Machu Pichu - Puno, etc.